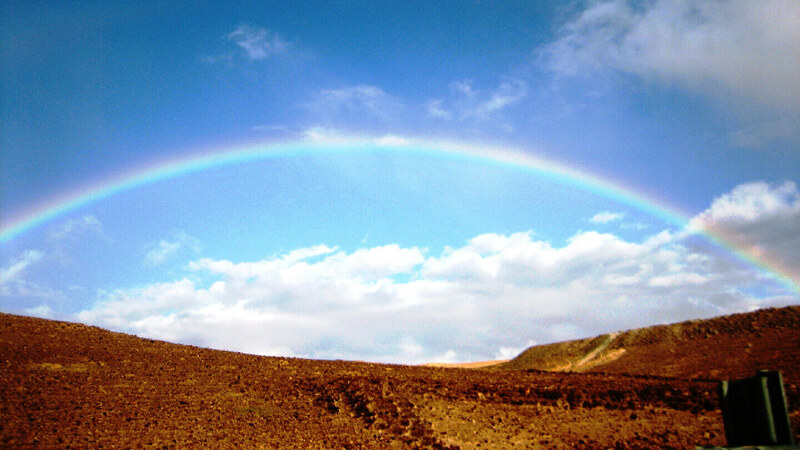 In Judaism, the phenomenon of seeing a rainbow is considered a special, amazing event, thus ensuing the need to recite a blessing upon seeing one. Rainbows are regarded highly as they serve as a reminder to the covenant that God made with Noah after destroying all living creatures with the flood. The rainbow serves as a sign of the Lord’s eternal covenant with his people, symbolizing that He will never again destroy all life in a great flood. From this perspective, a rainbow is seen in a positive light, as it shows how God remembers and keeps His promises to His people. Other Jewish thought on this matter, however, views the sign of the rainbow negatively. It considers it as a remembrance of God’s anger towards humanity as well as death and destruction. Due to this, some Jews perceive rainbows as a glorious occurrence but rather an unfortunate one, which is why some claim that this particular blessing should be said in silence, and that one should not inform his friend when he sees one, as it is similar to spreading bad news. בָּרוּךְ אַתָּה יהוה אֱלהֵינוּ מֶלֶך הָעולָם זוכֵר הַבְּרִית וְנֶאֱמָן בִּבְרִיתו וְקַיָּם בְּמַאֲמָרו. Baruch ata Adonai, Eloheinu melech ha-olam, zocher habrit v’ne’eman biv’reetoh v’kayam b’ma’amarav. Blessed are You, Lord our God, King of the Universe, who remembers the covenant, and is faithful to His covenant, and keeps His promise.